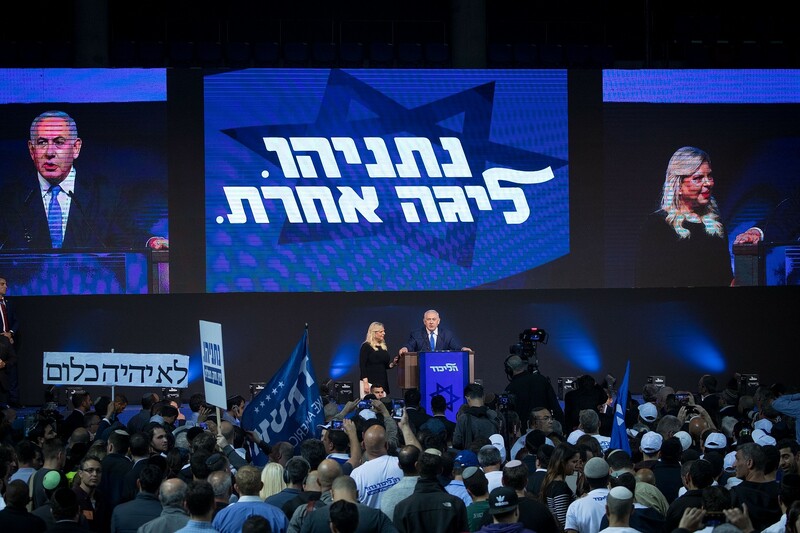 Meanwhile Likud’s main rival in the election, the Blue and White party led by Benny Gantz and Yair Lapid, won 25.94% of the vote, which would also give them 35 seats. With five right-wing and ultra-Orthodox parties managing to get some 32 seats together, though, Netanyahu seemed set to be able to form a government similar to his current right-wing coalition, with a solid 65 seats. On the other side of the fence, four left-wing and Arab parties combined for just 20 seats, seemingly putting them in the opposition with Blue and White, pending coalition jostling. Coming in at a surprising third and fourth places were the ultra-Orthodox parties Shas and United Torah Judaism, with 6.10% (8 seats) and 5.90% (8 seats) respectively. Fifth was the predominantly Arab Hadash-Ta’al with 4.61% or six seats. Meanwhile Meretz (3.64%), Kulanu (3.56%) and Arab party Ra’am-Balad (3.45%) had four seats each. This entry was posted on April 10, 2019 at 8:25 AM and is filed under Uncategorized. You can subscribe via RSS 2.0 feed to this post's comments. You can skip to the end and leave a response. Pinging is currently not allowed. Peace or pieces that is the question .